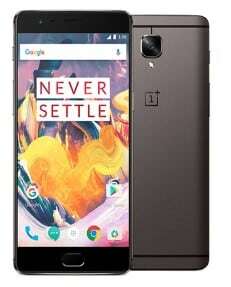 One Plus 3T is a smartphone that comes with front glass aluminum body and support dual-sim. It has awesome display that comes with Optic capacitive touchscreen. It offers internal memory of 64 or 128 GB with 6 GB RAM to increase the performance of the phone. When it comes to camera, you will surprised to know that the phone include 16MP Primary camera with LED flash and 16MP secondary camera. It is powered by Quad-core Snapdragon 821 processor. It is powered by 3400 mAh long lasting battery to support its large display of 5.5 inches covered by corning gorilla glass 4 technology. The version of software installed on it is Android 6.0.1 and you can also upgrade it to Android 8.0 (Oreo). The price of One Plus 3T starts from 24,999.